I'm a total addict for anything that smells good, from candles to fresh flowers. 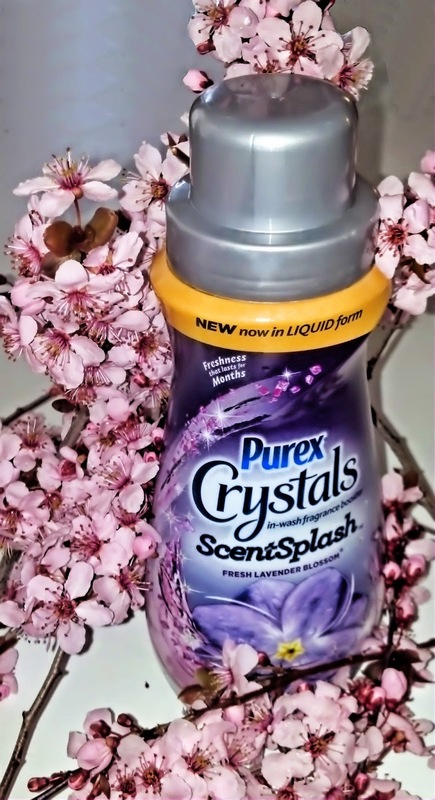 Purex helped feed my addiction with their latest product, Purex Crystals ScentSplash In-Wash Fragrance Booster! 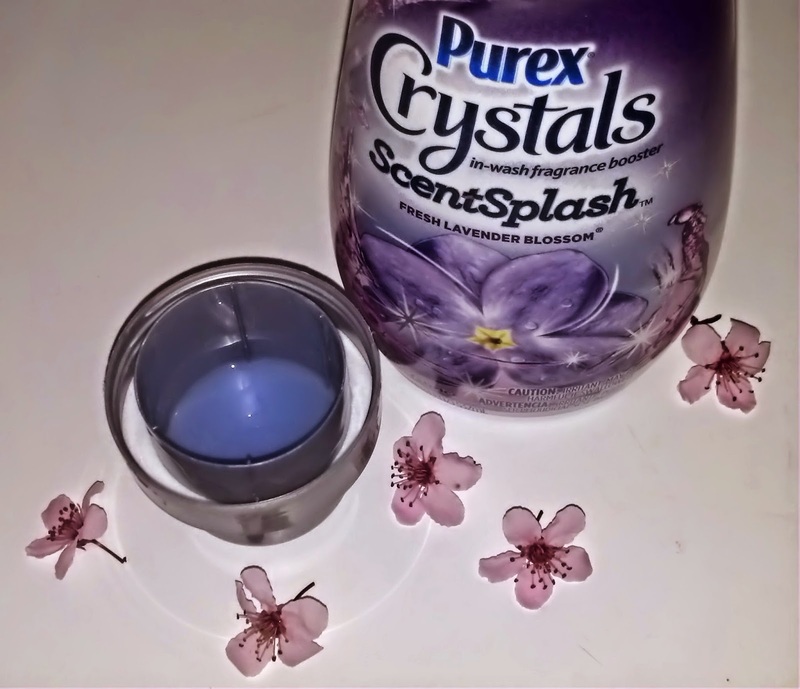 The fresh scent of original Purex Crystals in a liquid form that helps eliminate the strongest laundry odors...how fabulous is that? There are three scents available: Fresh Spring Waters, Fresh Mountain Breeze, and Fresh Lavender Blossom, the one I was lucky enough to try. It is liquid freshness, for real. The scent is sweet and flowery, but not cloying or too strong. It's very sniffable. Easy to use, too...just add it to the wash with your normal products. But does it really eliminate laundry odors? That's an easy one...YES. Everything from my teen's stinky socks to a load of wash that got left in the washer a bit too long came out with a freshness that made me want to snuggle with it. The amount of scent is your call...you add a little or a lot, depending on your taste and level of stinkiness. Want your house filled with fresh laundry? Of course you do. Enter below! a Rafflecopter giveaway I received a free product from Purex for testing and review purposes. My opinions and scent addiction are my own. Giveaway rules: US only. Coupon will be mailed via USPS. Blogger is not responsible for lost or stolen mail.